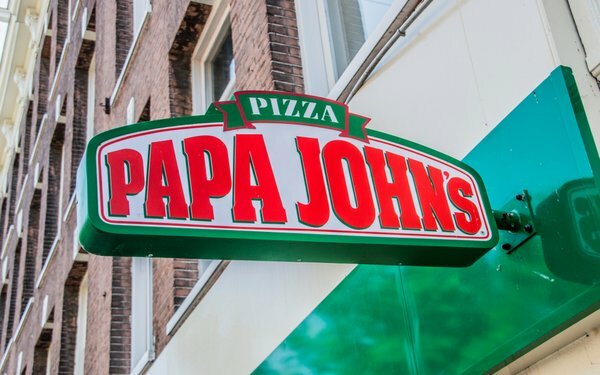 Papa John’s has selected Havas Media as its integrated media agency of record after a competitive pitch, the beleaguered pizza chain has confirmed. The company spent $136 million on measured media in the U.S. last year, according to Kantar Media. The appointment comes after Interpublic’s Initiative resigned the account last summer in the wake of racist comments from Papa John’s then-chairman John Schnatter who resigned from the post a short time later. The Pizza giant continues to take measures following damage that the company has said was exacerbated by Schnatter’s public statements, racist remarks and management of the company until his departure in July. Last year he blamed the NFL for flagging sales at the company — insisting that the league’s viewership had dropped because it didn’t adequately deal with on-field player protests. Schnatter had been the face of the company in most of its marketing materials up to the time he resigned as chairman. At that point, the firm severed all ties and Papa John’s ads have taken a new Schnatter-free direction that features company employees and franchisees talking about the firm and the communities they serve. Late last week, the company announced a new organizational structure that establishes what the company said are “dedicated roles and responsibilities around each consumer touchpoint.” The people in those new roles report to Mike Nettles, newly named executive vice president, chief operating and growth officer. Nettles joined the company last year. Justin Falciola has been named senior vice president, chief analytics and technology officer. He most recently served as vice president, global enterprise architecture. Anne Fischer is now senior vice president, customer experience. She was most recently vice president, product management. Paul Fabre has been elevated to senior vice president, menu strategy and innovation, having most recently served as vice president, r&d and quality assurance. Melissa Richards-Person has been promoted to senior vice president, chief brand officer from vice president, global brand strategy and consumer connections.